The Mighty Mo’ – Touring the Battleship USS Missouri | Armchair General Magazine - We Put YOU in Command! The USS Missouri (BB-63) was the last battleship the United States built. Commissioned in World War II and best known for her role in the Japanese surrender, Missouri continued to serve in US military operations through the end of the Cold War. Now a museum ship at Pearl Harbor, the Missouri stands watch over the famous USS Arizona Memorial. Together, the two ships represent the terrible beginning and triumphant conclusion of World War II. Rarely has history been so neatly encapsulated in one place. The Missouri is an absolute “must see” for any military history enthusiast. The Missouri , nicknamed “Mighty Mo’,” represents the zenith of American, if not global, battleship evolution and is a deadly work of art. Any visitor will immediately notice the ship’s impressive size: almost three football fields in length and weighing some 45,000 tons. She may be nearly 70 years old, but still possesses tremendous offensive and defensive power. Missouri is armed with nine 16” / 50 caliber rifles capable of firing 2,700-pound shells over 23 miles with astounding accuracy. Her secondary weaponry includes twelve 5” guns, four Vulcan Phalanx air defense systems (more commonly known as R2D2), as well as Harpoon and Tomahawk missile launchers. The ship is a no paper tiger, having deployed during World War II and the Korean War before her first deactivation. Brought back to active service and modernized under President Ronald Reagan’s 600-ship Navy Plan, Missouri escorted oil tankers in the Persian Gulf in 1987 and provided long-range fire support during Operation Desert Shield and Operation Desert Storm. Unlike too many other museum ships, the Missouri is in phenomenal physical condition. I asked a retired US Navy commander, who now works for the museum, as to his expert opinion on Missouri’s seaworthiness. He informed me the ship could be back at sea in as little as 8-12 months with a refit. Recall to active service may never occur, but this level of readiness speaks volumes on the vessel’s design and construction. Clearly, the men and women who built Missouri at the Brooklyn Naval Yard knew their business. Visitors should purchase entry tickets at the Pearl Harbor Visitor Center. Ticket prices are $22 for adults, $11 for children aged 4-12. Standard admission price includes a short bus ride from the Pearl Harbor Visitor Center to the Missouri’s berth alongside Ford Island. You may purchase souvenirs at the Victory Store or enjoy a meal in Slider’s Grill, both of which are located along the dock across from Missouri’s berth. Once aboard, visitors may join a guided tour (in English, Japanese or Chinese) or set their own pace while exploring the ship using maps printed in several languages. Audio tour guides, in English, Korean, Japanese, Chinese and Spanish are also available. You may wish to purchase the optional Heart of the USS Missouri tour allowing access to key parts of the ship such as the gun turrets, the engineering spaces or the “Broadway” passageway. While the museum is readily accessible to handicapped visitors, the Heart tour is more physically challenging. Tourists will climb ladders, step through knee knocker hatches and duck under machinery. As such, the Heart of the USS Missouri tour is open to no more than 10 guests per group, who must be at least 10 years old and wearing closed-toe shoes. The museum also offers overnight stays for youth groups in grades 5-12. Students participating in this program sleep in sailor bunks, eat on the mess deck and perform actual crew duties designed to educate and build teamwork. Missouri visitors may be surprised at how busy the ship feels, almost as if the 1,800-man crew is still present. The table in the captain’s cabin is ready for a formal meal complete with fine china and white napkins. The mouthwatering smell of freshly baked donuts wafts from the bakery. Several pieces of equipment await repair in the machine shop. The crew berths, workspaces and offices are dotted with numerous personal items such as family photographs, period uniforms, and other naval paraphernalia reflecting the personalities of the men who served aboard. Of particular note are the paintings, created by past Missouri sailors, commemorating key events or cruises from the battleship’s history. The museum staff went to great lengths to discover, preserve and restore these unique artworks, which would otherwise be lost under coats of haze grey paint. However, it is the dedicated museum staff and volunteers who truly bring Missouri to life. Tour guides and support staff alike are knowledgeable and helpful. The went out of their way to make our visit memorable. They encourage visitors to ask questions and to take advantage of the many hands-on displays, such as a simulated firing of the main gun batteries complete with video. Visitors should remember that Pearl Harbor is an operational US Navy facility. As such, most of the base, including parts of Ford Island, is off-limits to civilian personnel. The official bus is the only means for tourists to visit the battleship. Security concerns also restrict visitors from carrying backpacks, diaper bags, camera bags, purses and like. Wheelchairs, strollers, cameras, cell phones, umbrellas and jackets are allowed. The Missouri is open every day except Thanksgiving, Christmas and New Year’s Day. Visitor hours are 8am – 4pm (September through May) and 8am – 5pm (June through August). You may wish to take advantage of other attractions in Pearl Harbor including the USS Arizona and USS Oklahoma memorials, the submarine USS Bowfin tour and the World War II Valor in the Pacific Museum. If you are very lucky, you may have the opportunity to speak with Pearl Harbor–attack veterans and hear firsthand of that fateful Sunday in December 1941. For more information, please visit the USS Missouri’s official website at http://www.ussmissouri.com. For those unable to journey to Hawaii, Missouri’s sister ships of the IOWA class are also museums: Iowa (Los Angeles, California), Wisconsin (Norfolk, Virginia) and New Jersey (Port of Camden, New Jersey). World War II battleships from other classes that are now museums include USS Alabama (Mobile Bay, Alabama) and USS Massachusetts (Fall River, Massachusetts) of the SOUTH DAKOTA class, USS Texas of the NEW YORK class (San Jacinto State Park, Houston), and the NORTH CAROLINA-class USS North Carolina (Wilmington, North Carolina). Lieutenant Colonel Christopher J. Heatherly enlisted in the U.S. Army in 1994 and earned his commission via Officer Candidate School in 1997. He has held a variety of assignments in special operations, Special Forces, armored, and cavalry units. His operational experience includes deployments to Afghanistan, Iraq, South Korea, Kuwait, Mali, and Nigeria. He holds master’s degrees from the University of Oklahoma and the School of Advanced Military Studies. 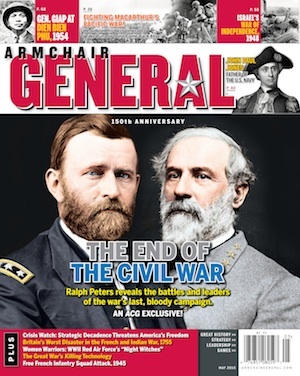 Previously he wrote about the USS Texas for ArmchairGeneral.com. Tour guide, and former USMC corporal, Mr. Reggie Johnson explaining the main guns’ intricacy. Escorted by a destroyer, Mighty Mo enters Tokyo Bay, followed by USS Iowa. Admiral Chester Nimitz adds his signature to the surrender document that ended WWII. Gen. Douglas MacArthur stands in the foreground behind him. The Mighty MO BB63 was the last U.S. Battleship completed because the work on her was delayed by a shipyard strike which allowed the Wisconsin BB64 to be completed before her.